Home > Bluetooth > KOKKIA i10Sports The Ultimate MULTI-STREAMING Sports Arm Band. Wear your MULTI-STREAMING Tiny i10 snugly and comfortably with your iPhone or iPod Touch or iPod classic on arm, while you enjoy your wireless Bluetooth music, together with someone else, or by yourself. 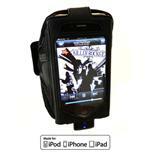 All generations of iPhone, iPod Touch, iPod classic can fit into arm-band. MULTI-STREAM STEREO MUSIC STREAMING CAPABILITY. Made-for-iPod, Made-for-iPhone, Made-for-iPad Bluetooth Transmitter..
NEW MULTI-STREAMING stereo audio features, allows simultaneous enjoyment of iPod/iPhone/iPad music with up to 2 persons/receivers - this feature is not available in other comparable transmitters. i10 will respond to Receiver Remote AVRCP commands (Play, Pause, Next, Previous). Smallest size compared to other products made by other brands. This product is Made-for-iPod Made-for-iPhone and Made-for-iPad, unlike many others that are only Made-for-iPod. Includes Authentication IC chip, which allows local iPod, iPhone, iPad volume adjustment - that is not possible with other Made-for-iPod only transmitters that do not include Authenticaion IC chip. Low power consumption, for many hours of wireless audio enjoyment with iPods, iPhones, iPads. No batteries needed, powered by iPod/iPhone/iPad. 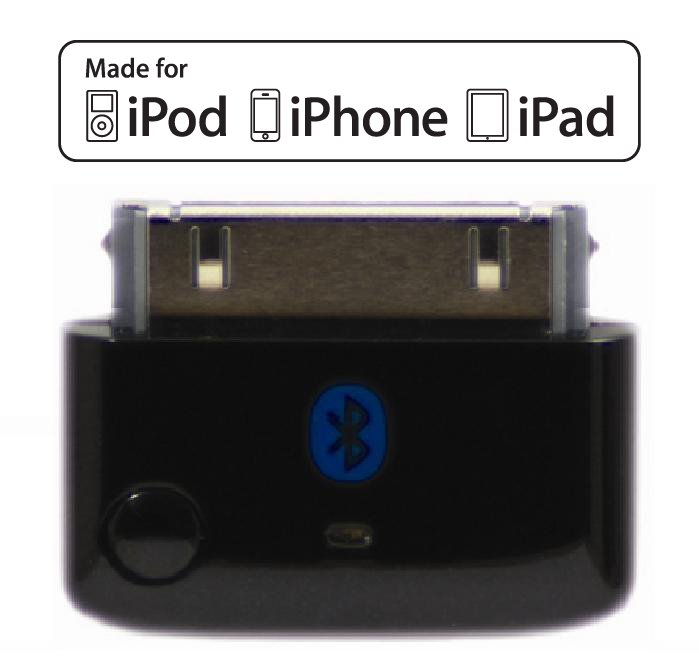 Attach to iPod/iPhone/iPad via 30-pin connector. Simple to operate. Bluetooth 2.1 + EDR, Class 2. Works with iPad2, iPad, iPhone 4S/4/3GS/3G/1st gen, iPod touch (1st-4th gen), iPod nano (1st,2nd,3rd, 4th, 5th, 6th gen), iPod classic (80, 120, 160GB).